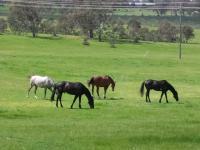 Providing a quality environment for horses is our aim. If your horse is happy, you will be happy too! If you are interested in agisting your horse at Pine Ridge, please contact us by email info@pineridge.com.au or phone 0408 786 004 for more information and/or to arrange a tour of the property.